It’s best-known as the company that builds world-class ‘Go Anywhere, Do Anything’ 4×4 vehicles, but its models also make superb tow cars. And Jeep is set to demonstrate this, after being announced as official tow car partner for next week’s Motorhome & Caravan Show 2017. Jeep will mark the official support of the popular show with free one-to-one towing experiences, brought in conjunction with The Camping and Caravanning Club. A fleet of Jeep Grand Cherokee vehicles will be available for show-goers to learn how to hitch up a caravan and tow it safely. 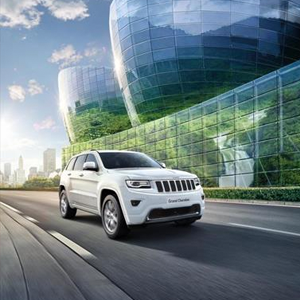 The brand will also have a stand at the show, displaying its current range of award-winning vehicles: Grand Cherokee, Cherokee, Renegade and Wrangler. “We are delighted to be official tow car supplier for the Motorhome & Caravan Show, for the third time – we have supported the show previously and it has been a highly successful partnership for us,” says Andrew Tracey, Country Brand Manager, Jeep UK. The Jeep Grand Cherokee range starts at £47,580 OTR for the 3.0 CRD V6 Limited Plus, rising to £69,830 OTR for the high performance 6.4 HEMI SRT.